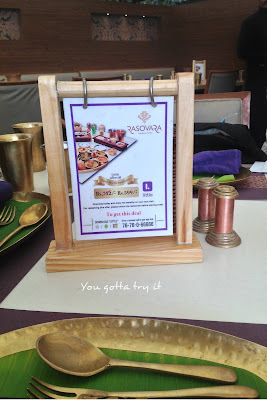 Few days back I was invited to Rasovara for trying their exclusive 'Aamlicious Thali' (mango special Thali). Rasovara is located in one of the prime location of Bangalore; UB city. The second floor of UB city has many restaurants and cafes with international cuisines and currently Rasovara is the only restaurant which serves Indian cuisine. 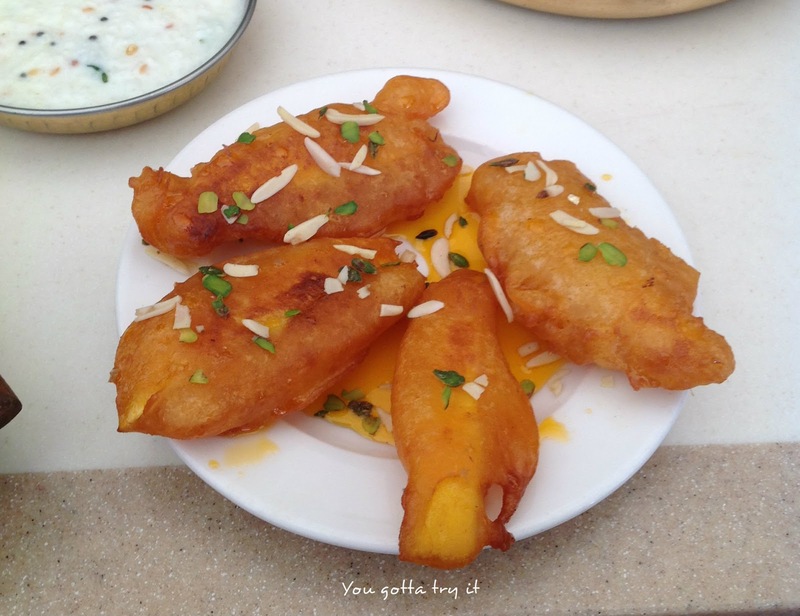 Summer is always special for me, as this is the time to savor mangoes and jackfruit. 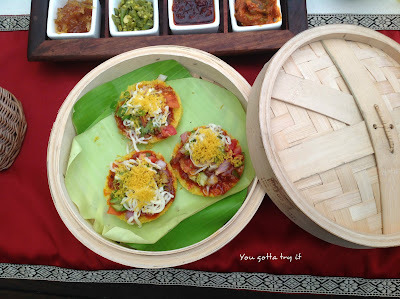 Rasovara's mango thali had some brilliant signature dishes from Rajasthan and North India. 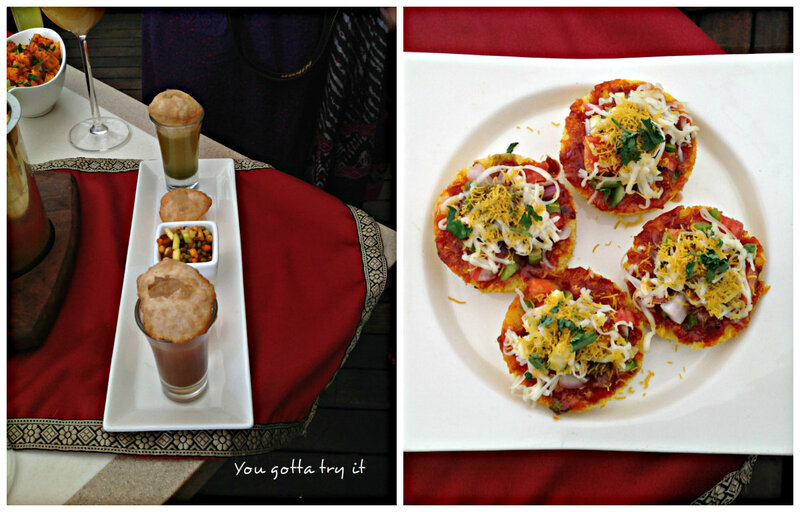 They have an 'a la carte' menu as well as Thali. 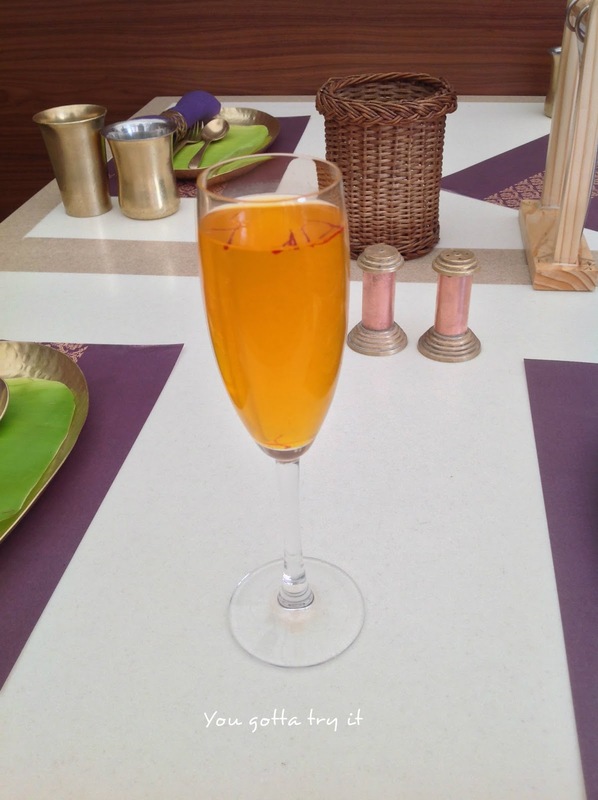 As their name says, Rasovara means the royal kitchen. Thali is an integral part of Indian tradition and it's a symbol of prosperity. Most of the royal kitchen recipes are still a secret and many have been destroyed. 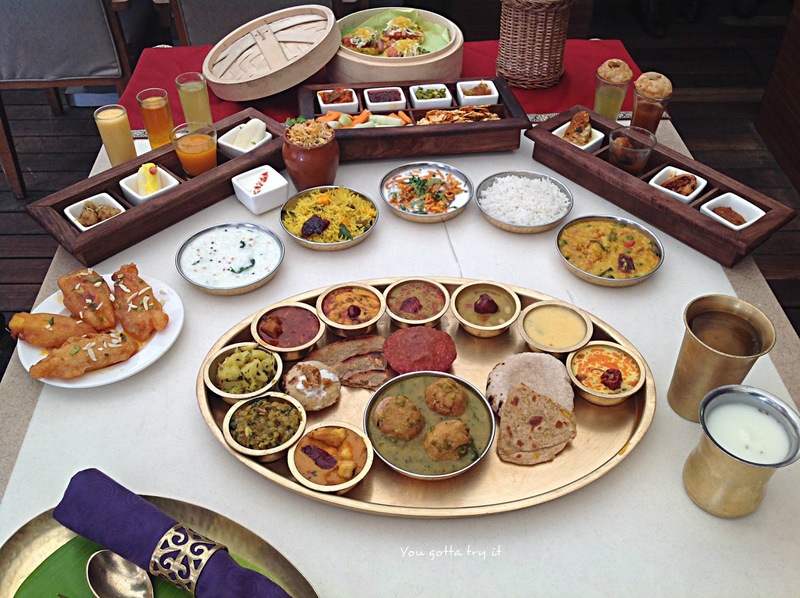 There is nothing like our Indian Thali and Rasovara's thali is the result of so many years of research in the royal kitchens of India. When I reached Rasovara, their staff in traditional attire welcomed me with flowers and a sandal paste tika. I was invited along with few other foodies. 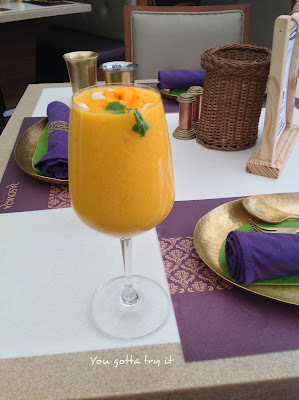 Soon after settling down we got the welcome drinks for tasting- Mango lassi, Aam thandai, and Kesar Chandan Cooler. Aam thandai was just okay. Thick and fresh mango lassi and the Kesar Chandan cooler were perfect summer drinks to beat the heat. Mango special thali had Mango Pani puri and regular pani puri, Pizza Dhokla, Kairi Bhakarwadi with honey chilli sauce, Kairi Bhare pappad roll with hari lasuni chutney, Kairi mutter roll, and Aam gugra chaat as starters. All the starters were so delicious. 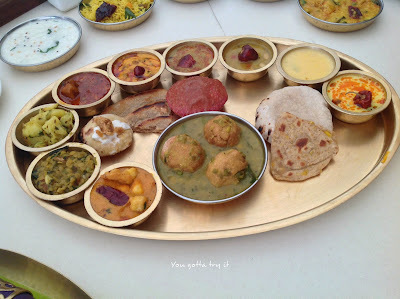 For the main course we had Gunda kairi ki sabzi, Rajasthani gulab jamun ki sabzi, aam ki launji, fajeto, tasty spicy mango salad, ghatte ki sabzi, mango khadi, Khobha roti, mango pulao, khichdi and few other dishes from their regular menu. For desserts, we had Aam Shahi Tukda, badam halwa and mango jilebi with rabdi. 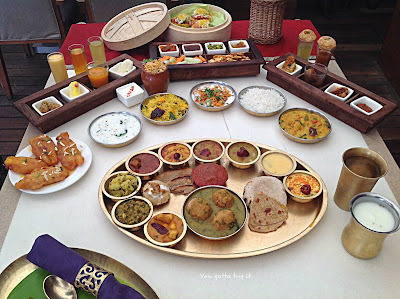 Most of the dishes were outstanding especially the gulab jamun ki sabzi, Khobha roti with desi ghee taste, ghatte ki sabzi, mango khadi, mango pulao,spicy mango salad and mango jilebi with rabdi. 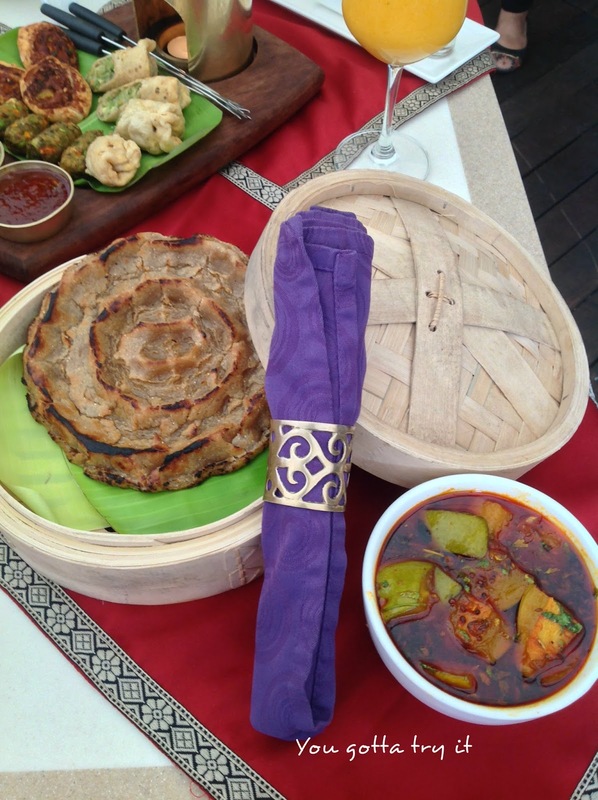 It's a great place for a luxurious Indian meal and their ambience is a mix of traditional and contemporary design. Service is well-informed and very attentive. Thali is priced at Rs.751 (inclusive of taxes). 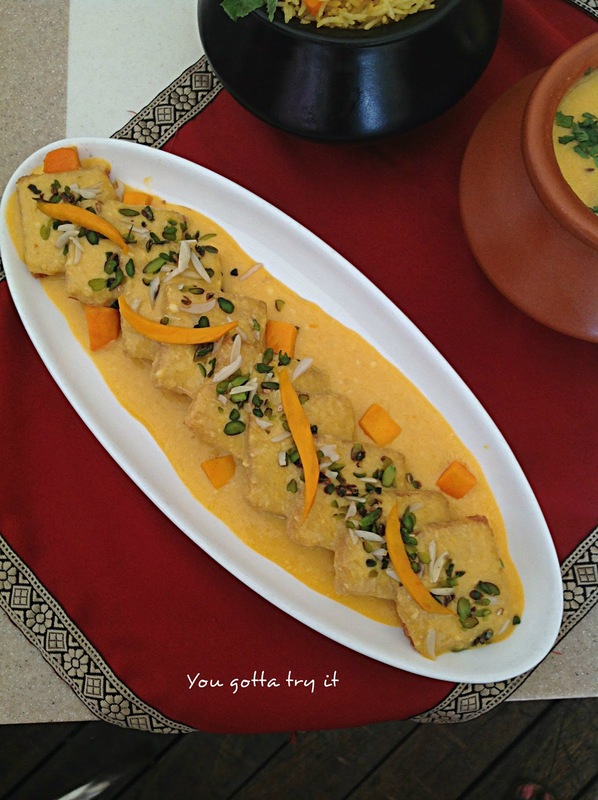 They have a rotational menu with 3-4 mango dishes. So don't forget to try the aamlicious thali before the mango season gets over. I would definitely suggest this place to friends and families, also it would be an ideal place to take your expat friends to show our traditional food culture.